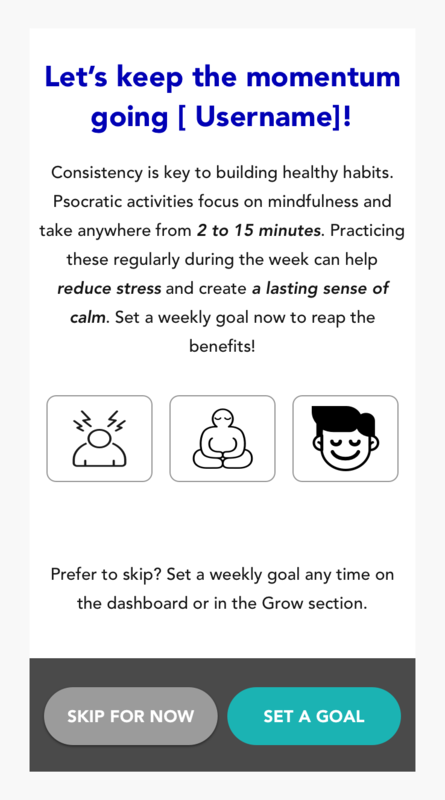 Psocratic is a corporate wellness startup focused on building mindfulness and health relationships in the workplace (https://www.psocratic.com/) This project focused on implementing a weekly goal feature into Psocratic's web app. 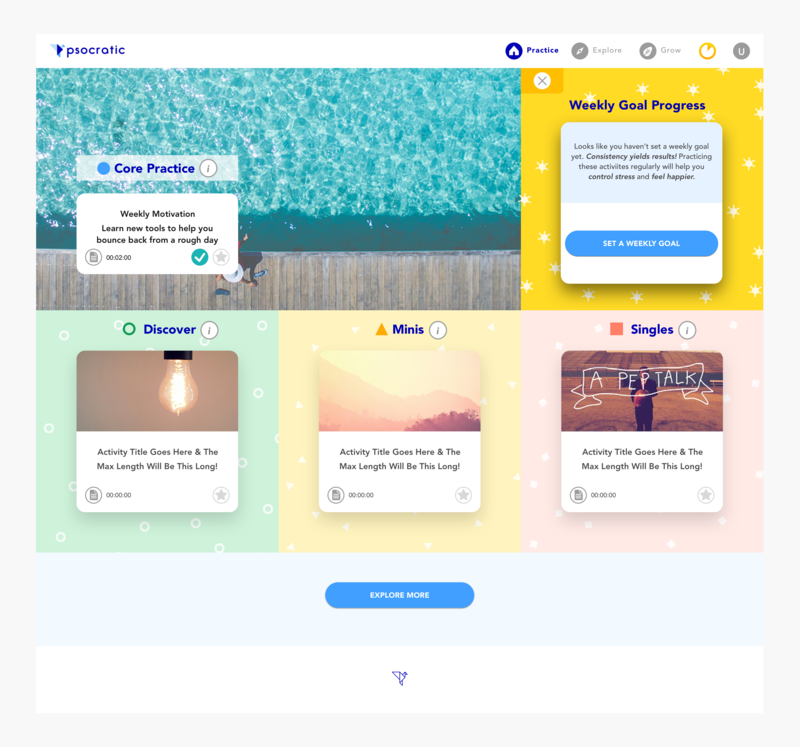 Currently, the web app is comprised of a mindfulness and wellness based curriculum. 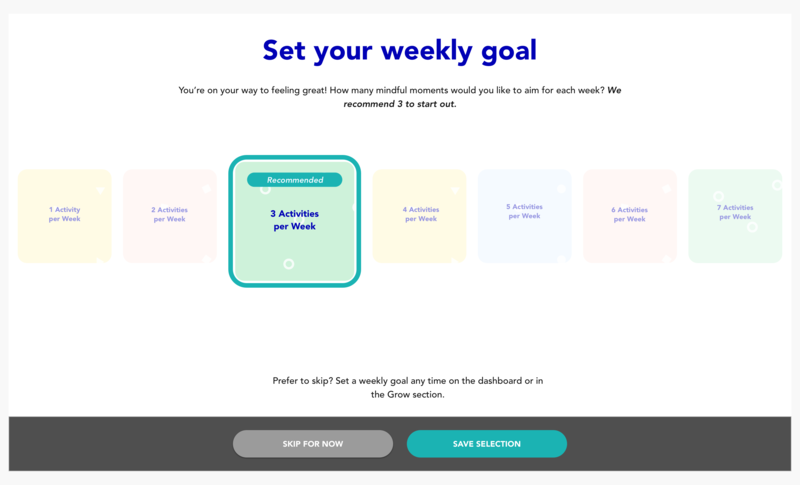 A weekly goal feature would allow users to set a goal for a minimum amount of activities per week. 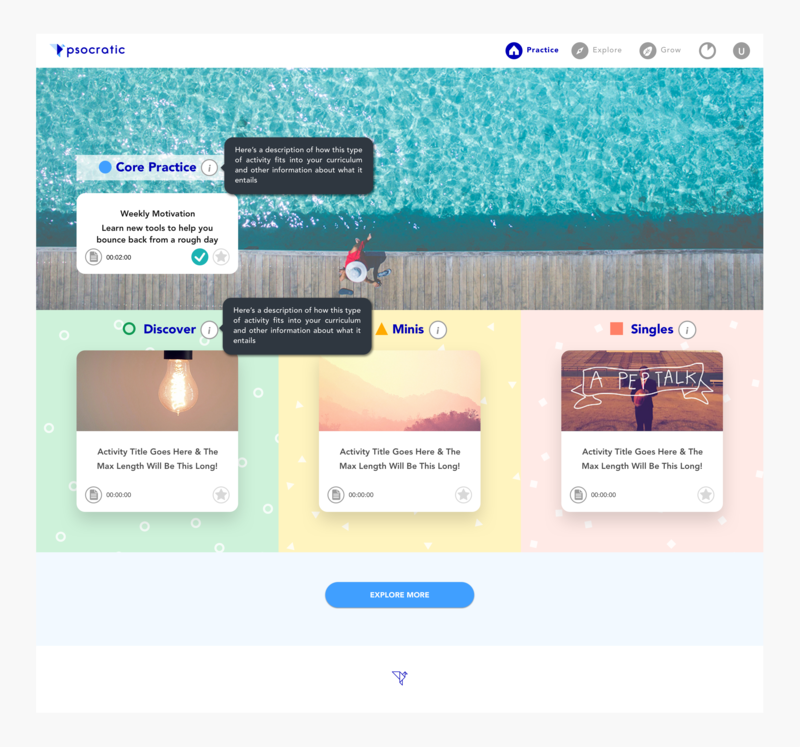 I worked closely with the lead designer during the project as as UX Researcher & Designer. 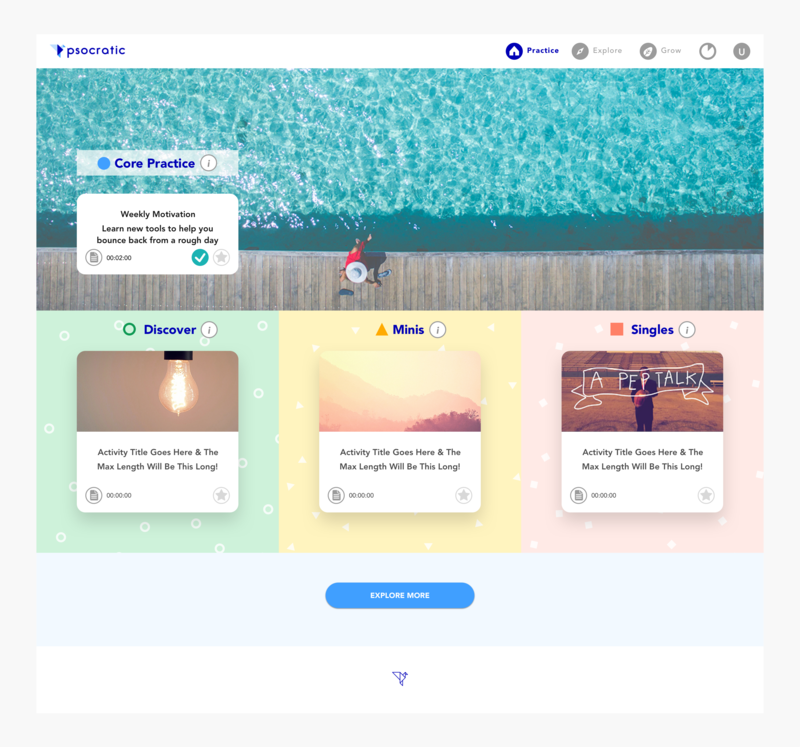 In order to build a meaningful Psocratic experience, users need to stay engaged with the product and activities regularly. 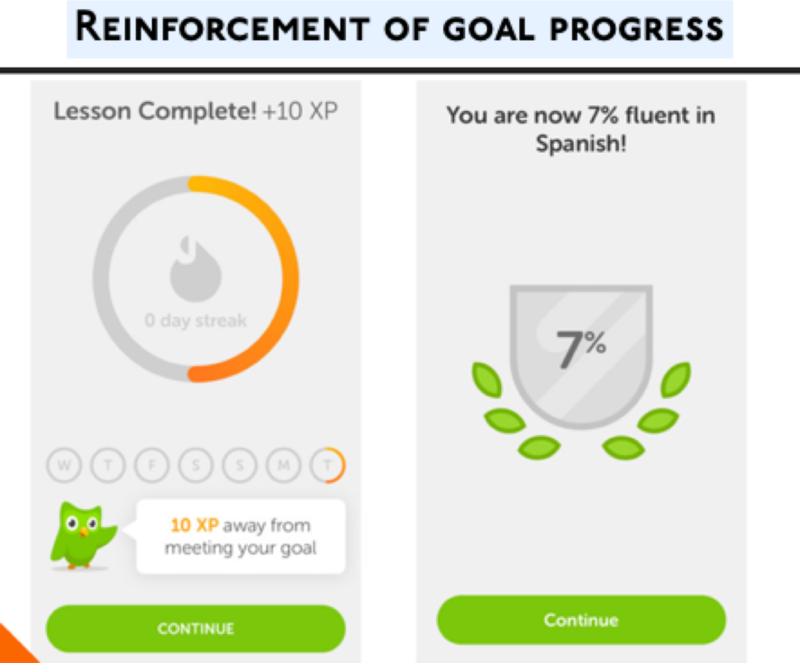 As a solution, Psocratic proposed a weekly goal feature. My questions as a UX Designer were: Is this something that Psocratic target users need and want? If so, how can it be designed in a way that is seamless and efficient? In order to test the right people, I sent out a brief survey on multiple channels (Reddit, Slack, Linkedin, etc.) 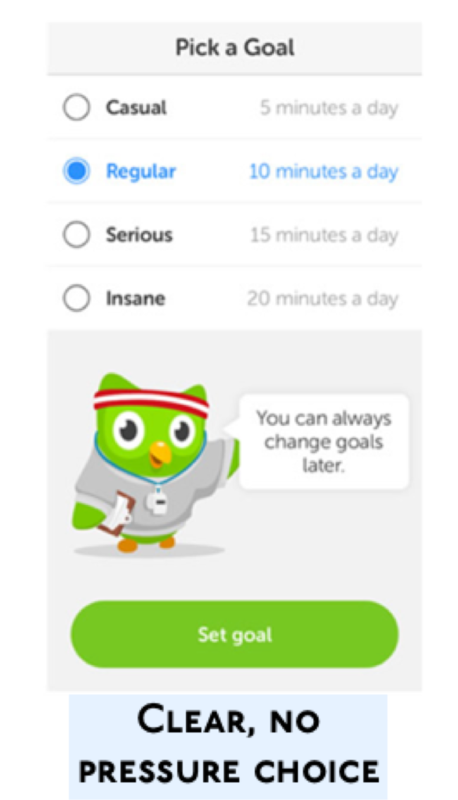 The respondent qualified for testing if they worked at a corporation/startup and had a method for setting goals in their personal lives. 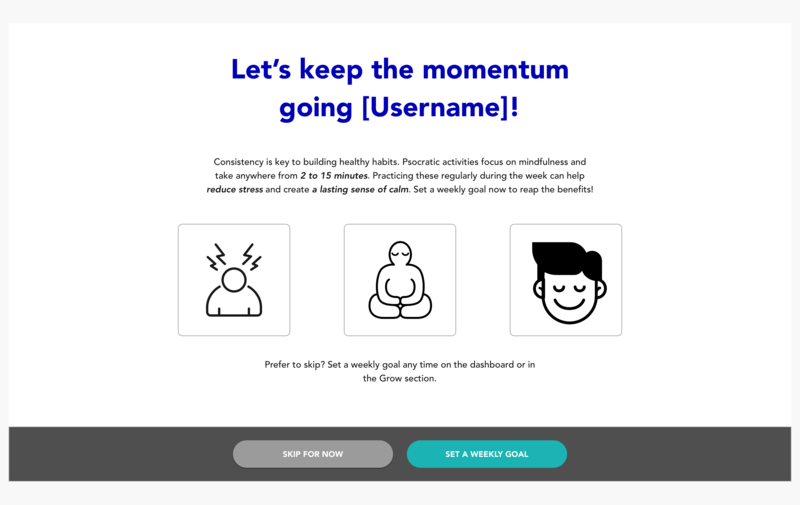 Looking at other products in the mindfulness and wellness space helped me to think of ways to convey value and familiarity to the user while setting a goal around mindfulness activities. The products that stood out to me were Headspace, Stop, Breathe, Think, Inner Hour, and Calm. 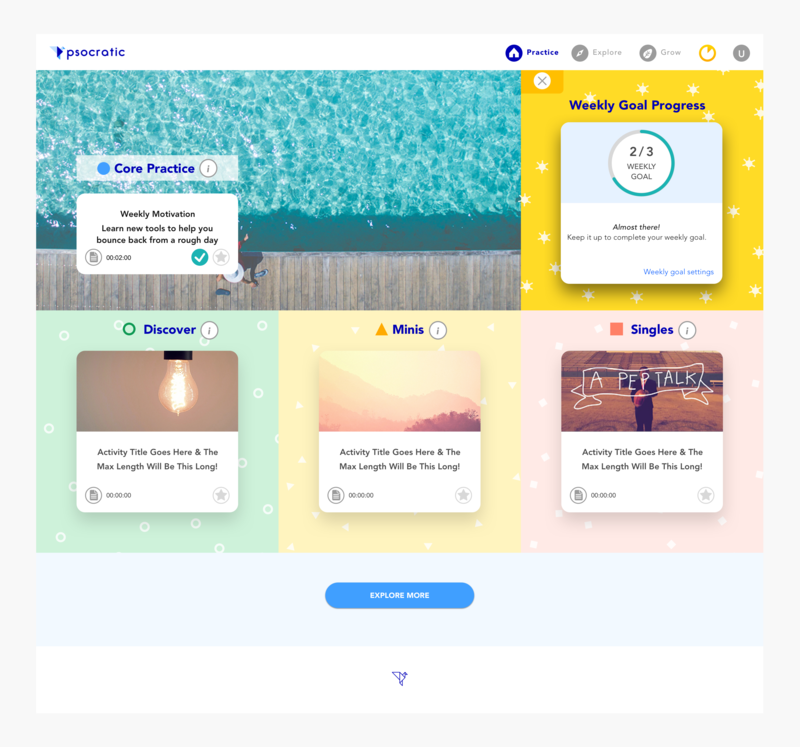 I also took a look at some curriculum based products like Duolingo and Skillshare as goal-setting plays a prominent role in these learning experiences .